The fifth and final season of Falling Skies will air in the summer of 2015. That means you still have time to watch the first four seasons. Once you start watching Falling Skies, you won’t be able to keep yourself from binge-watching all the episodes, because it’s exciting TV. Most of the time we’re left wondering how our band of survivors will make it to the next episode. Falling Skies portrays a group of civilians and fighters who have survived a massive alien invasion of Earth. The group, known as the 2nd Mass (a reference to the American Revolutionary War), is led by history professor Tom Mason (Noah Wyle) and U.S. Army Captain Dan Weaver (Will Patton). Tom’s knowledge of military history and revolution provides strategic value, while also reminding everyone what a revolutionary force is capable of accomplishing. 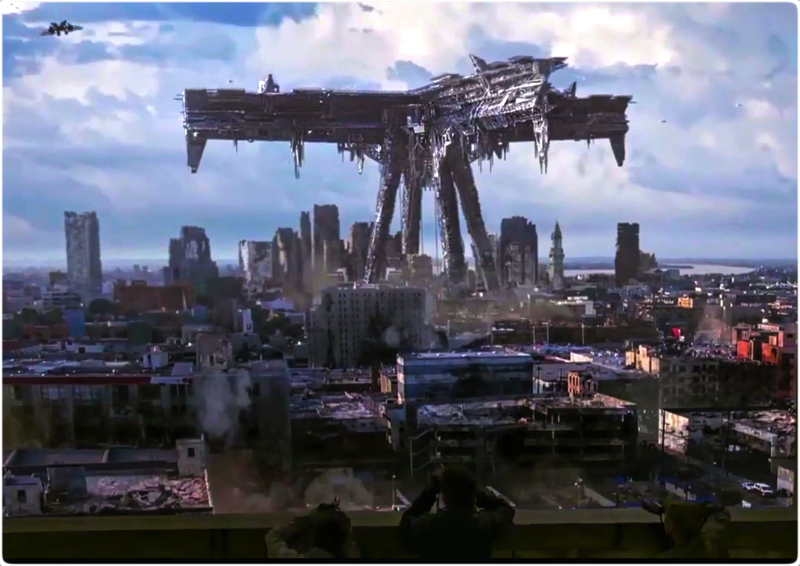 There’s loads of exciting conflict in Falling Skies, and it’s not just with the aliens. Tom Mason struggles to figure out how to save his family, the civilians, and the Earth, making some unlikely allies along the way. Similarly to The Walking Dead, Falling Skies focuses on how these characters survive together in a post-apocalyptic world. There is also a Falling Skies webcomic, a prequel to the first season, which can be read online at the Dark Horse website or as graphic novels. 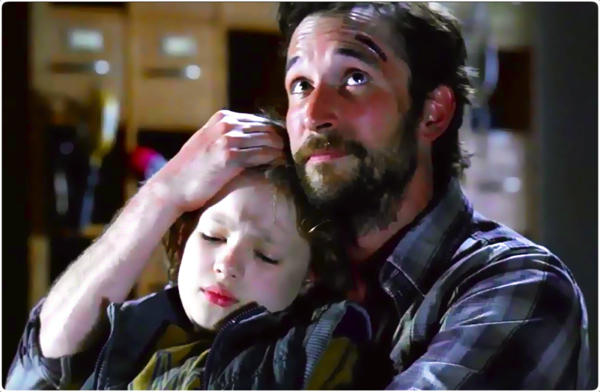 In terms of the TV series, we recommend you start with Season 1 of Falling Skies on Amazon Instant Video or TNT so you can get the whole story of the 2nd Mass and the Mason family, but you can also jump right into it when Season 5 begins this summer. The Last Ship follows the crew of USS Nathan James as they try to find a cure to a global pandemic that has wiped out 80% of the earth’s population. 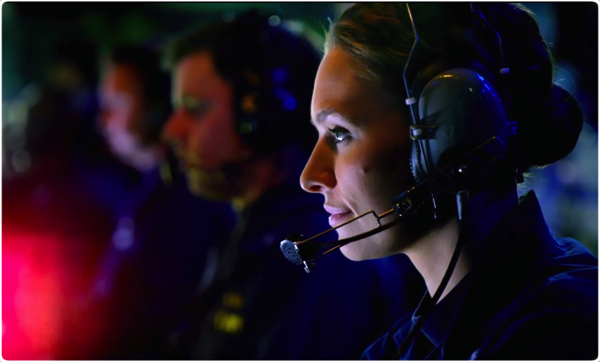 The ship is carrying a scientific expedition and has a full navy crew who must cope with not knowing if their own family members have survived as they deal with unexpected dangers and scant resources. 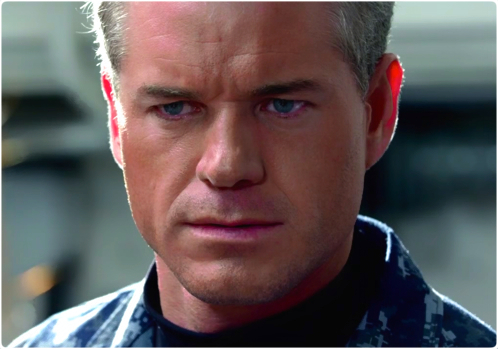 Commanding Officer Tom Chandler is played by the charismatic Eric Dane, while the somewhat icy scientist Dr. Rachel Scott is played by Rhona Mitra. Adam Baldwin (from Firefly and Chuck fame) plays the sometimes-conflicted Executive Officer Mike Slattery. The series is based on the novel The Last Ship by William Brinkley. Hollywood giant Michael Bay is an executive producer of the series. The crisis has resulted in chaos and death around the globe, leaving the commander to decide the best course of action for his ship and crew in a post-apocalyptic, virus-infected world. There is lot of ongoing drama and suspense, but the series is character-driven because it focuses on how individuals respond to the crisis and engage with each other. It has been renewed for a second season, expected to air summer 2015. Season 1 only had 10 episodes, so it’s a pretty quick catch-up if you want to start from the beginning, but the simplicity of the plot means that you can jump right in with Season 2. You can watch The Last Ship on TNT or Amazon Instant Video. Longmire is a mystery thriller set in Wyoming. 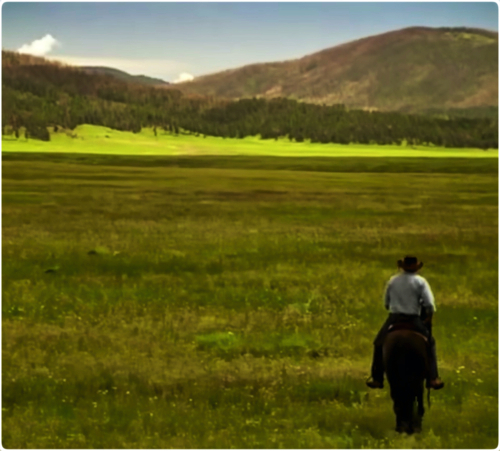 It’s not just the beautiful scenery that makes Longmire special but the unique challenges of rural communities, the conflicts and connections with the nearby Cheyenne reservation, and a layered Sheriff Longmire who is dealing with his own unfolding mystery. The outstanding cast includes unflappable Sheriff Walt Longmire (Robert Taylor), his deputies (Katee Sackhoff, Bailey Chase, and Adam Bartley), his daughter Cady (Cassidy Freeman), and his best friend Henry Standing Bear (Lou Diamond Phillips). Longmire is based on the mystery novels by best-selling author Craig Johnson. Despite being a consistently popular show with good reviews, A&E canceled Longmire in August, 2014 after three seasons. Though Longmire was A&E’s most popular original series, it was canceled because the viewers of the show were an older demographic, and A&E wanted to go with shows that could reach younger viewers favored by advertisers. After a push by fans to save the show, it was announced in November that Netflix had picked up Longmire for Season 4. The new season will pick up right after the exciting season finale of Season 3, airing 10 episodes in 2015. You, too, could be part of this committed group of fans, who are willing to fight for a beloved television series. 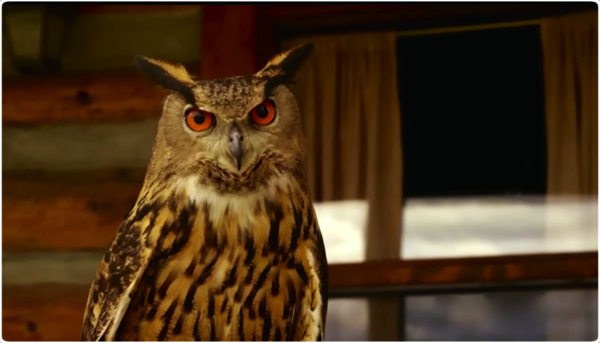 Watch Longmire on Netflix or through Amazon Instant Video. Justified provides a glimpse into the underworld of Eastern Kentucky, an area known for its beautiful mountains, bluegrass music, coal mining and drug abuse. Timothy Olyphant plays the dangerously unconventional Federal Marshal Raylan Givens, a character based on the stories of Elmore Leonard. After a shooting incident in Miami, Givens is transferred to Lexington, Kentucky, where he begins working cases in his hometown of Harlan. It is both the cultural backdrop of Eastern Kentucky and Raylan’s local connections that make this drama so interesting. 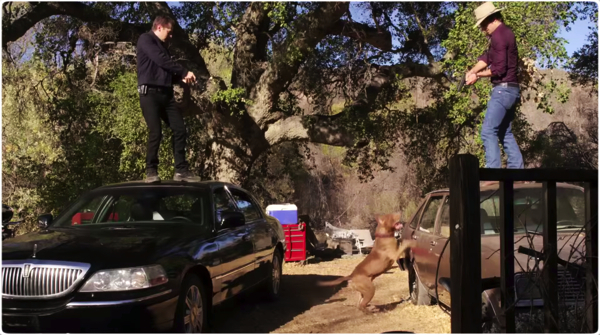 Raylan grew up to be a law enforcement officer, while many of those from his childhood chose a very different direction. Raylan is the Dirty Harry of Appalachia, making him a problem for both criminals and his bosses. Justified follows a serialized narrative in which larger story arcs play out over an extended period of time or an entire season. 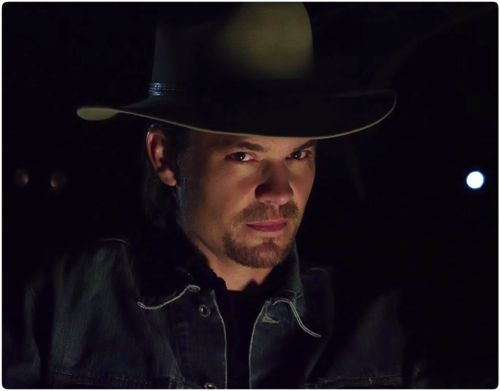 Yet each episode has its own story that draws the viewer in, in part because Olyphant’s portrayal of Raylan is enthralling. Great casting didn’t stop with Olyphant. 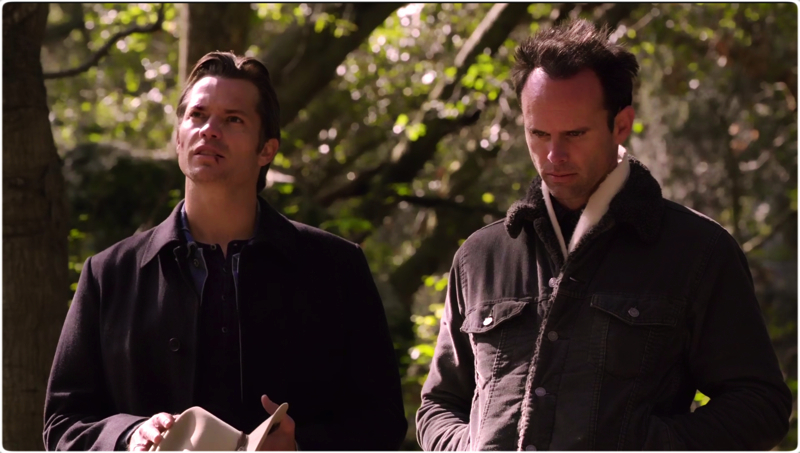 There are many other excellent characters in Justified, both regulars and guest stars, including Raylan’s childhood friend Boyd Crowder (Walton Goggins), colleague Tim Gutterson (Jacob Pitts) abusive matriarch Mags Bennett (Margo Martindale), and conflicted Sheriff Shelby Parlow (Jim Beaver). If you’re looking for a quick catch up of Justified, you can listen to podcasts about each of the first five seasons of Justified by Josh Wigler and Antonio Mazzaro on Post Show Recaps. 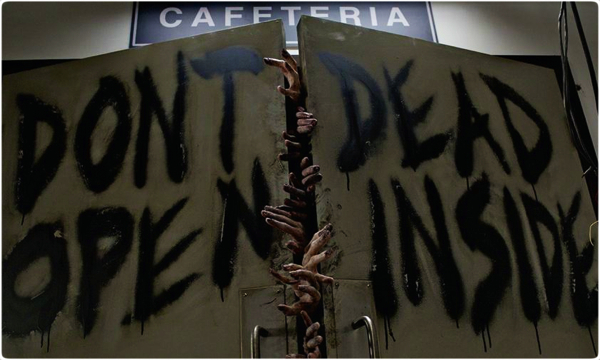 While you’re there, check out PSR’s always entertaining podcast on The Walking Dead by Wigler and Rob Cesternino. If you want to just jump right into Season 6 of Justified, go for it. The intensity of each episode means that Justified will entice you even if you’ve never seen any of the previous episodes. Just remember, it may only take one time for Justified to become a hard habit to break. You can watch Justified on F/X or Hulu. The 100 has proven itself to be a very interesting and complex show. Initially it felt more like a teen drama than a dystopian tale. And though we love teen shows, The 100 has clearly become much more. It has evolved into a fascinating story where in which the survivors of a nuclear war that decimated Earth 97 years earlier must make difficult moral choices on an almost daily basis. Some humans survived in orbiting space stations, collectively known as the Ark, while others have managed to survive on the ground. 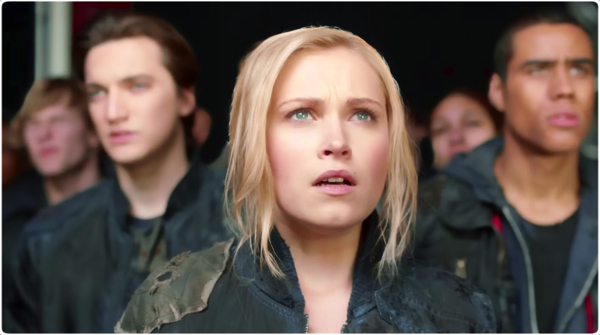 The leaders of the Ark send a group of 100 juvenile prisoners, including Clarke (Eliza Taylor), Finn (Thomas McDonnell), Octavia (Marie Averopoulus), and stowaway Belamy (Bob Morley), to Earth in a desperate plan to see if humans can survive the atmosphere. On the Ark, Clark’s mother, Dr. Griffin (Paige Turco); Councillor Kane (Henry Ian Cusick); and Chancellor Jaha (Isaiah Washington) are trying to cope with rapidly diminishing resources. 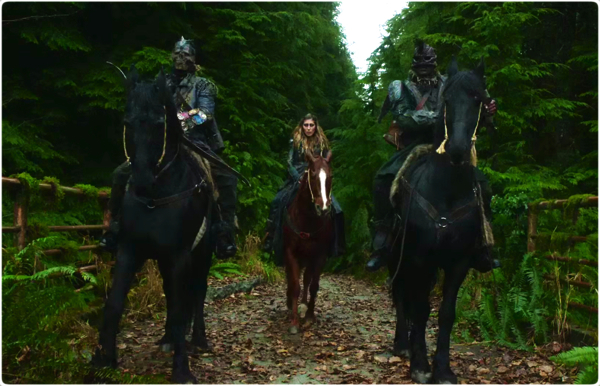 The 100 has an exciting and fast-paced narrative that brings changing circumstances and unexpected enemies. Adding the to moral complexity of The 100 are the cultural clashes and political conflicts that continue and evolve throughout the series. The brisk narrative, youthful cast, and technological focus of The 100 may make it the antithesis of Longmire, but each show has its own appeal. Though it’s only in its second season, it feels like we are in the third or fourth season of The 100, not only because events move quickly, but because the series has a richness and depth that’s unusual in most television dramas. This post-apocalyptic series has a mythological feel that makes it fascinating to watch, and we can’t wait to see where it takes us next. You can see The 100 on on Hulu or the CW. 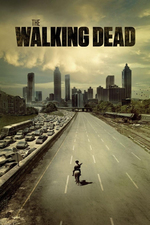 We love The Walking Dead for its great characters and the ways they manage to navigate a changing moral landscape. Similarly, Falling Skies, The Last Ship, Longmire, Justified, and The 100 engage us by putting characters we care about in difficult and morally complex circumstances. These shows all have approaches to storytelling that make them stand out amongst other television dramas. If you love The Walking Dead, tell us what other shows you’re passionate about. Oh my gosh, how great is Justified? I think that is easily one of my favorite shows to ever come to television, after Breaking Bad. I have trouble explaining why that show is so good when I tell other people about it. I love how they nail the “redneckness” of it all, and the sarcastic banter/dry humor is done so well! Lost ship sounds good – I will have to add it to my watching list! Agreed. The writing is outstanding and then they manage to cast the perfect actors for the different roles. It’s too bad this is the last season. Dealing with a global pandemic from ship (though they do go ashore sometimes) – it’s surprising how interesting it is. They only had 10 episodes in season 1, which seems to help keep the narrative on track, while being suspenseful. Enjoy! Yeah they did cast it wonderfully! Walton Goggins is now one of my favorite actors due to that show (I then discovered he was in The Shield, so I have more Walton to watch!). And Timothy Olyphant plays his role to perfection. The supporting marshal’s are also great, I don’t know who is my favorite, Art, Rachel, or Gutterson. Yeah, I am terrified to how this could all end. But freaking Sam Elliot is killing it!